Ha ha ha. Artifacts freaking out. Does it get any better? 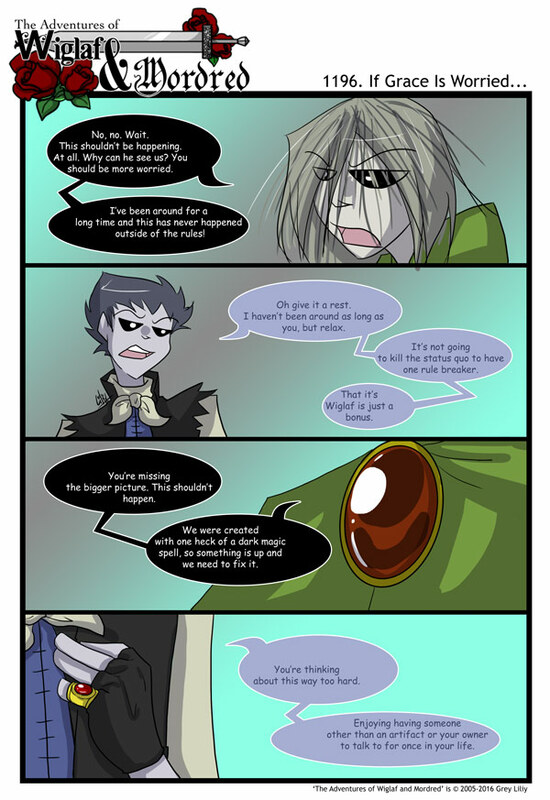 I just noticed that the last two panels are focusing on the gems that Grace and Eclat have. It makes me wonder that those gems are the focus of the ‘Dark Magic’ that made them, and Wiglif has now a gem very similar to Grace and Eclat. Am I on to something here, or am I barking up the wrong tree? My money is on the gem Wiglaf has now is light magic. Second bet is that their gems are copies of the one Wiglaf has now.